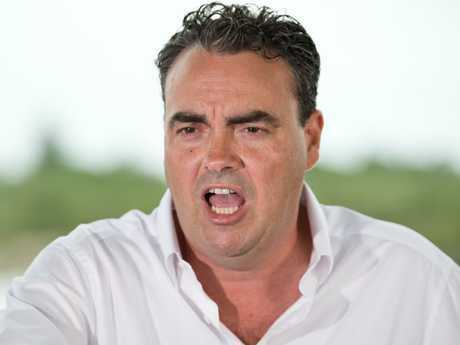 UPDATE: WHITSUNDAY MP Jason Costigan has hit back at his colleagues for airing allegations against him in State Parliament insisting the claims are untrue and made him feel sick. 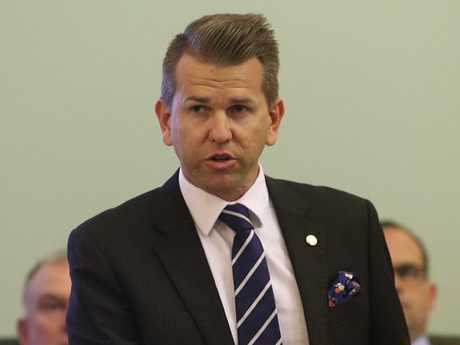 Harassment allegations levelled at the dumped Liberal National MP were detailed in Parliament by a former party colleague, including that he followed the 18-year-old woman at the centre of the complaint into her bedroom and closed the door behind him, touching her back and her hair. Leader of Opposition Business Jarrod Bleijie told the House under parliamentary privilege that the 18-year-old girl - whose complaint ultimately led to Mr Costigan's expulsion from the party this month - alleged she dropped a pair of underwear in her rush to leave and the MP picked them up and said he liked them. "Some of my parliamentary colleagues have seen fit to use parliamentary privilege to make accusations that they would not have the guts to make outside the House," he said. "That should tell the people of Whitsunday and anyone else all they need to know. "I deny any suggestion that I acted inappropriately towards the young woman in question. "The accusations made in Parliament today make me sick. "As I have said previously, I was at that residence by invitation. "When I initially met the young lady, yes, I was not wearing a shirt. Member for Whitsunday Jason Costigan addresses the allegations prior to being dumped by the LNP. "I had not expected her or anyone for that matter to be there but almost immediately, I went and put on one of my footy jerseys. "I didn't touch her hair, her back, nothing, absolutely nothing, aside from when she happily posed with me for those selfies. "What's been said in relation to this young lady is lies, fantasy or things that have been taken way of context to say the least. "As I have previously said, I intend to pursue damages for defamation. No doubt that is why my former LNP colleagues have used parliamentary privilege to defame me, rather than having the courage to make their statements outside the House." Mr Costigan has denied the allegations. EARLIER: HARASSMENT allegations levelled at dumped Liberal National MP Jason Costigan have been detailed in Parliament by a former party colleague, including that he followed the 18-year-old woman at the centre of the complaint into her bedroom and closed the door behind him, touching her back and her hair. "When she arrived at the property, she didn't know he was there," Mr Bleijie told the House. "She didn't know who he was or why he was in her grandparents' home. "He met her in the living room before following her into her bedroom. "He was half-naked, having just had a shower. "He closed the door behind her when they entered the room. "He touched her on the back and stroked her hair. "She didn't ask him or invite him to touch her. "He told her she was pretty. "He told her he liked young girls. "He told her she should come to the Whitsundays to visit him and he would pay for her flights. "He pressured her into taking selfies with him. "She frantically gathered her belongings to get out as quickly as possible. "He picked up the fallen underwear. "He turned it over in his hands and told her he liked it. "She grabbed her things and got out. "In the initial complaint from the mother of the young woman said she feared she would be raped on the remote property by the Member for Whitsunday. "It was a traumatic experience for this young woman." The shock new details were aired by Jarrod Bleijie. Mr Bleijie told the House numerous other complainants had come forward since Mr Costigan was expelled from the LNP. "Another young woman has made a formal complaint of harassment of a sexual nature and stalking to the LNP about the member," Mr Bleijie told the House. "She described him walking through a crowd. "She saw the member look at her friend. "She thinks he targeted her because he knew she had recently separated from her husband. "She wheeled around and told him to go away. "Another woman has come forward to say she has screenshots of SMS messages the member sent to a then 16-year-old-girl. "Messages which contain explicit and sexually suggestive lines about how she made him feel. "Another woman has told us of his leering and staring at a 17-year-old waitress to the point that she hid whenever he entered the cafe. "The cafe manager intervened to protect the 17 year-old waitress from the unwanted attention from the Member of the Whitsunday. "The young women in the first com1plaint was so scared by the conduct of the Member for Whitsunday she has made a complaint to the police. "The member doesn't meet the high standards of the LNP, the people of the Whitsundays deserve better."